Logistics, easy access to the market, corridors X and VII and International airport Constantine the Great. As a logistics base, Serbia is an ideal country for a company that wants to operate with and serve in the most efficient way its clients from the EU, Southeast and Central Europe. Serbia borders with EU countries, offering the possibility of manufacturing outside the European Union. At the same time, operation can satisfy all working conditions outside of the EU, with the possibility of providing services and transportation, with respecting planned and flexible time frames. The extraordinary geographic position of the City of Niš within the Balkan region and the fact that the city is at crossroads and close to the various European road corridors creates the conditions for excellent accessibility of this part of Europe. This creates the possibility to develop the logistics sector, thanks to the vicinity of EU Corridors X and VII. 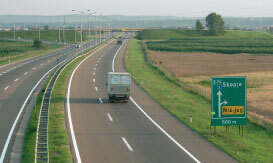 The main transport axes, motorways and railways lead from Belgrade to Niš, where they fork towards the south leading to Thessaloniki and Athens (E 75) and east towards Sofia, Istanbul and further towards the Middle East (E 80). Air traffic is carried out through the airport Constantine the Great, the second largest passenger and cargo airport in Serbia. The airport is located in the area with exceptionally favorable weather conditions throughout the year, with a small number of cloudy and snowy days representing the enormous investment potential of the city. The area where the air traffic is carried is increasing, given the fact that the EU Agreement on Common Aviation Area of Europe or the Open Skies Agreement (ECAA) entered into force in Serbia in 2009. Experience shows that this will surely lead to the arrival of new companies, including the low cost airline companies, so it is realistic to expect that the creation of the most favorable airline connections will result in a larger inflow of passengers from the neighboring regions, thanks to the faster and more efficient road and railway routes to the airport. 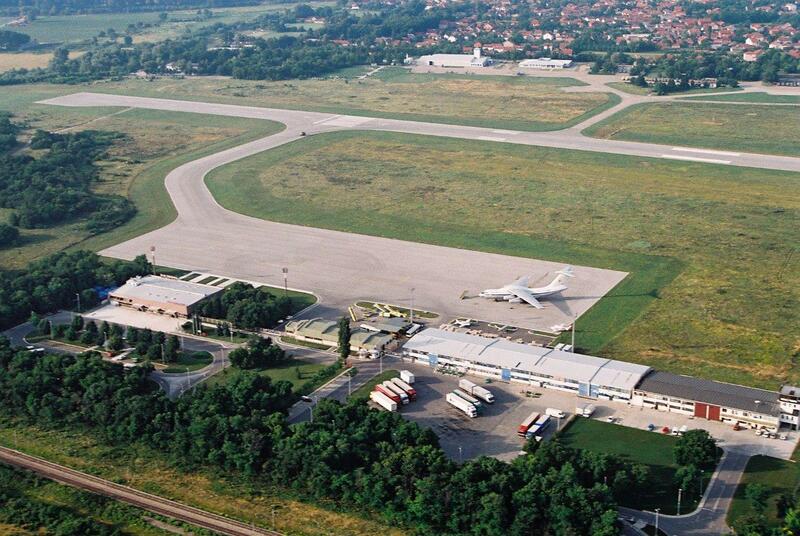 The catchment area of the City of Niš Airport has been increased in the existing network of airports in Serbia since the contract on the European Common Aviation Area (ECAA) came into effect in Serbia in 2009. Experience shows that this will certainly result in the arrival of new companies, including low-cost companies, so that it is realistic to expect, given the excellent traffic connections, a larger inflow of passengers from neighboring areas owing to the quick and efficient road and railway access to the Airport. Economic, health, educational and cultural center of Southeast Serbia. Rich cultural and historical heritage. With nearly 300,000 inhabitants, Niš is the third largest city in Serbia and covers a territory of 597 km². The river Nišava flows through the City of Niš and through an area rich in thermal and mineral waters, especially in spas. The most famous is Niška Banja, a pleasant and popular destination for holidays, sightseeing, medical therapies and rehabilitation, since Roman times. It is rich in healing waters, has a pleasant climate and provides exceptional medical treatments. .This area is famous for its geomorphological diversity of mountains, canyons and caves, and the city is recognizable by its unspoiled nature. The entire region has moderate continental climate, warm summers and moderately cold winters that are extremely suitable for tourism. Niška Banja (Spa of Niš) had always been a pleasant and popular destination for summer holidays, sightseeing, medical therapies and rehabilitation even in the Roman times. 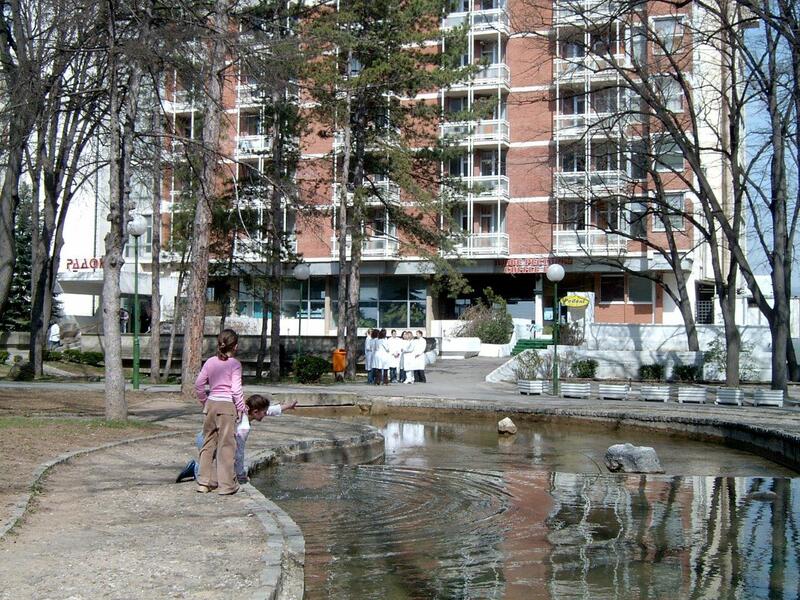 It has healing water springs, pleasant climate and excellent medical treatments. This area is characterized by a rich geomorphologic diversity, mountains, canyons and caves. City is known for its untouched nature. The whole region has a moderate continental climate (warm summers and moderately cold winters) which is favorable for tourism. Historians, geographers and writers have always depicted the City of Niš as the place where the east meets west, as a gate between the east and the west. In the City of Niš, one of the oldest cities in this part of Europe, many important geographical routes are intersecting, connecting Central and Western Europe with the Adriatic, Aegean and Black Sea. This position had always had an extremely large impact on the cultural heritage of the city. Archaeological site Mediana witnessed the wealth and fame of the Imperial Naissus (now the City of Niš), the birthplace of Emperor Constantine. 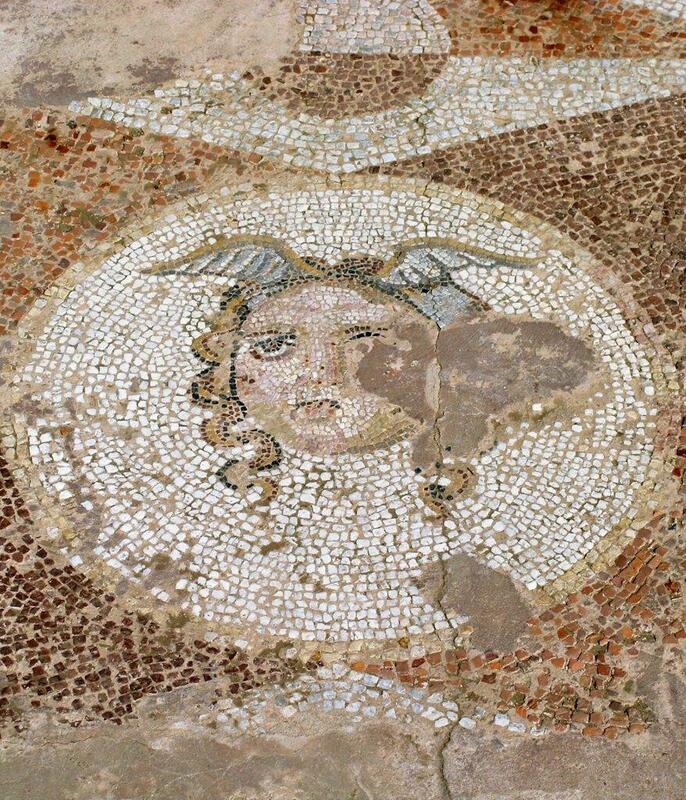 Remains of a luxury villa with floor mosaic, sacral objects (baptistry), Roman baths and waterworks serve as evidence of culture and history since the time of Constantine the Great. 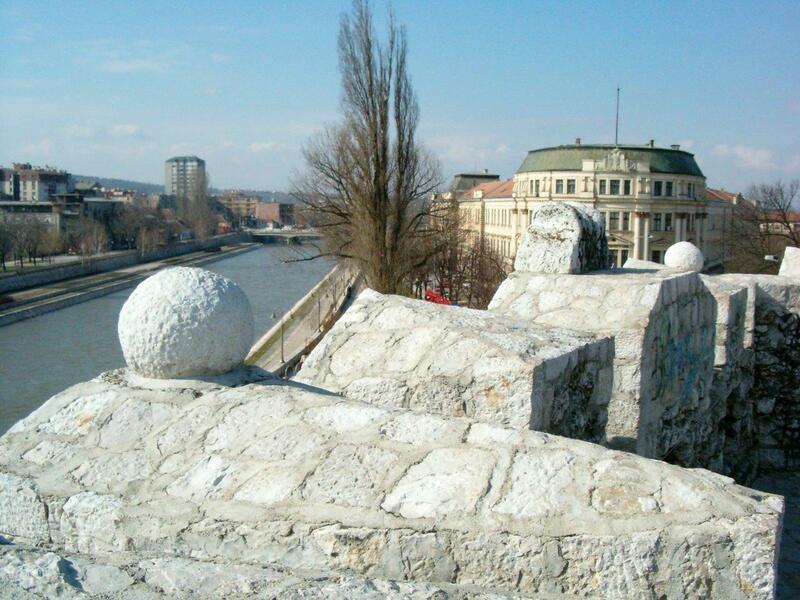 On the banks of the river Nišava, on the remains of the Roman military fortress, then the Roman city called Naissus, and finally on the remains of the Byzantine and medieval fortifications, the Turks built a mighty fortress at the beginning of the 18th century. The fortress was used as a fortification from 1719 to 1723. Beside the exceptionally well-preserved gates and walls, numerous buildings have been preserved from different times, such as Weapon Depot, Turkish bath, Turkish station, Bali-bey Mosque, Powder Storage and Dungeon. Cultural events in the City of Niš are organized mainly within the walls of the Fortress in an open amphitheater. 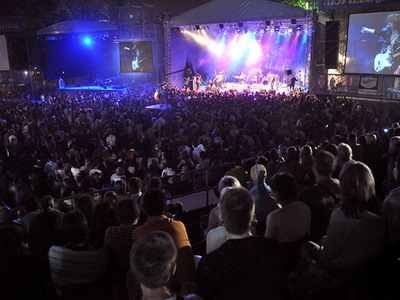 The most important cultural events are: Film festival (Festival of Serbian Actors), International Choral Festival, Sićevo Art Colony, Sićevo Literary Colony, NIMUS (Niš Music festival – classical music concerts and programs), NIŠVILLE Jazz Festival, Nisomnia (music festival) May song (festival of children’s music). The archeological site, Mediana, is the witness of wealth and glory of the Imperial Naissus (nowadays the City of Niš), the birthplace of Constantine the Emperor. The remains of Imperial Palace, luxury villas with mosaic floors, sacral objects (baptistery room), Roman baths, water tanks, testify about the culture and history from the time of Constantine the Great. At Nišava riverbank, on the remains of the Roman military camp, then Roman town called Naissus, and finally on the remains of Byzantium and Medieval fortification, the Turks built a strong fortress at the beginning of 18th century. The building of the Fortress lasted from 1719 to 1723. Beside those well preserved walls and gates, there are numerous objects from various periods, such as armory, Turkish steam bath, Turkish post station, Bali-mosque, powder storage and prison. The cultural events in the City of Niš are performed usually within the walls of Niš Fortress, at its open air theatre stage. The most important cultural events in the City are: the Film Festival of Actors’ Achievements “Filmski susreti” Niš, International Choral Festival, Fine Arts Colony Sićevo, Literary Colony Sićevo, NIMUS (Niš Music Festival – a programme of concerts of classical music), Nišville Jazz Festival; Nisomnia (music festival) and May Song (festival of children’s music).